Scientists have found a connection between bacteria in the gut and antitumor immune responses in the liver. Their study, published May 25 in Science, was led by researchers in the Center for Cancer Research (CCR) at the National Cancer Institute (NCI). It showed that bacteria found in the gut of mice affect the liver's antitumor immune function. The findings have implications for understanding the mechanisms that lead to liver cancer and for therapeutic approaches to treat them. NCI is part of the National Institutes of Health. "What we found using different tumor models is that if you treat mice with antibiotics and thereby deplete certain bacteria, you can change the composition of immune cells of the liver, affecting tumor growth in the liver," said Tim Greten, M.D., of NCI's CCR, who led the study. "This is a great example of how what we learn from basic research can give us insight into cancer and possible treatments." The microbiome is the collection of bacteria and other microorganisms that live in or on the body. In humans, the greatest proportion of the body's total microbiome is in the gut. 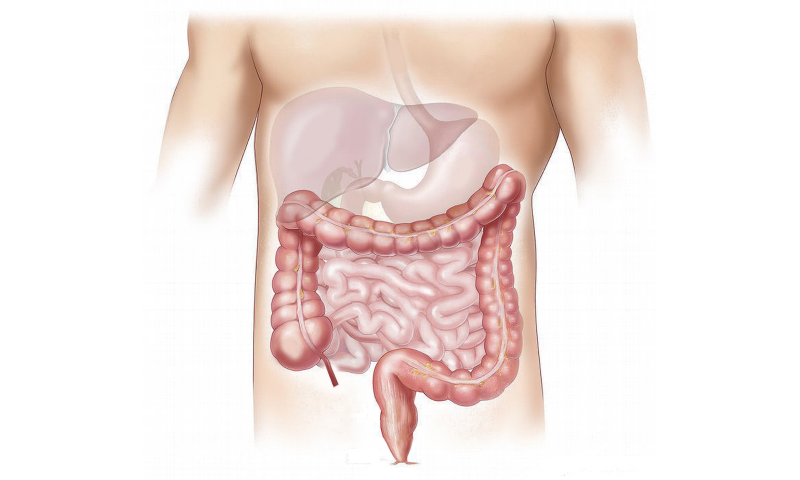 Despite extensive research into the relationship between the gut microbiome and cancer, the role of gut bacteria in the formation of liver cancer has remained poorly understood. To investigate whether gut bacteria affect the development of tumors in the liver, Dr. Greten and his team carried out a series of experiments with mice. They used three mouse liver cancer models, and found that when they depleted gut bacteria using an antibiotic "cocktail," the mice that had the antibiotics developed fewer and smaller liver tumors and had reduced metastasis to the liver. "We asked ourselves, why do mice treated with antibiotics have more CXCL16 production in these endothelial cells?" Dr. Greten said. "That was the critical point, when we found that bile acids can control the expression of CXCL16. We then did further studies, and found that if we treat mice with bile acids, we can actually change the number of NKT cells in the liver, and thereby the number of tumors in the liver." Finally, the investigators found that one bacterial species, Clostridium scindens, controls metabolism of bile acids in the mouse gut—and ultimately CXCL16 expression, NKT cell accumulation, and tumor growth in the liver.